Lately I have been a little baby photo obsessed. 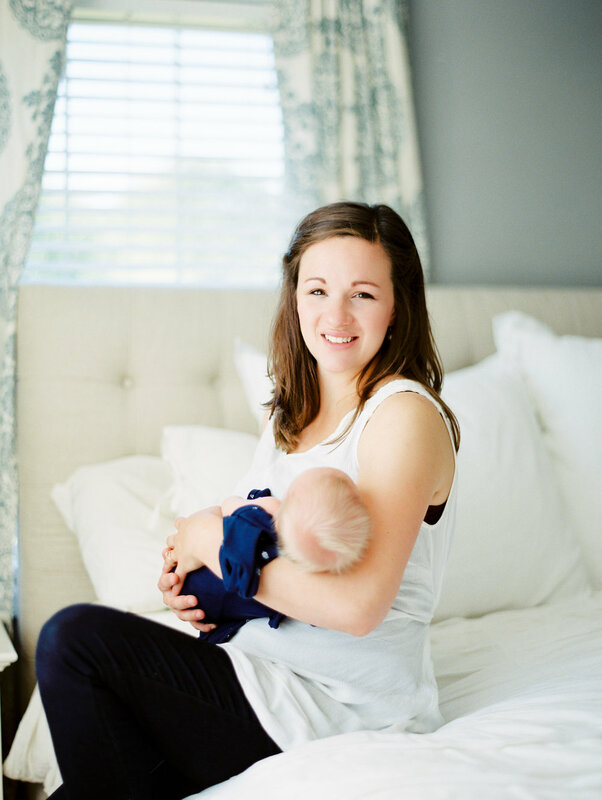 Since switching to a more laid back approach with new babies and their families I feel like the images we capture are so much more authentic and true to the moment and less stressful. Now don't get me wrong, I love a good posed baby photo but for my style, we get baby comfy and let him or her let their little personalities show. I want each image to capture the feeling and emotion and I love looking at these and almost smelling that addicting new baby smell and feeling the too-soft-for-words baby skin. I was especially excited to photograph Baby Ezra because his mom and dad are fast becoming dear friends of my family. I love seeing them as first time parents and it brought back so many memories of when we welcomed our first little guy into our home. 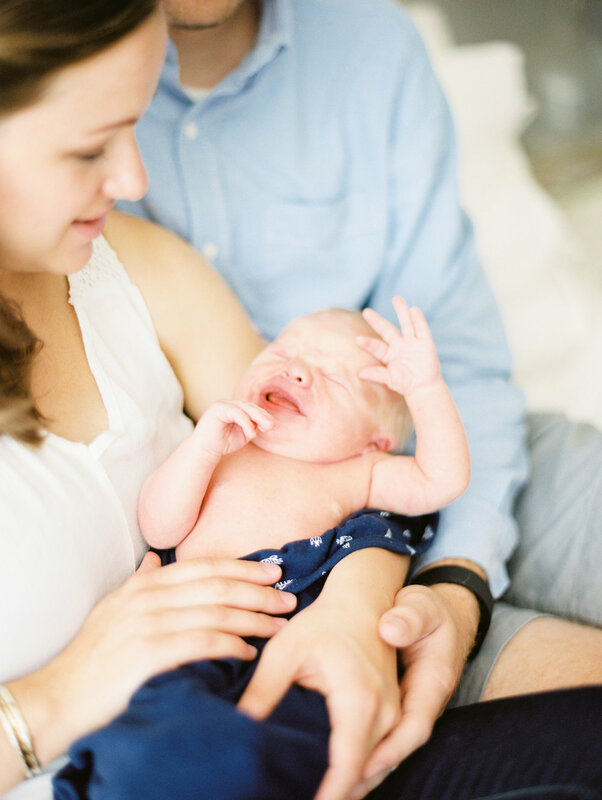 Baby Ezra has a full head of the blondest hair you've ever seen and he made some of the silliest yawning faces that I practically squealed over when I got the film scans back. Here are some favorites of this adorable family! Enjoy!